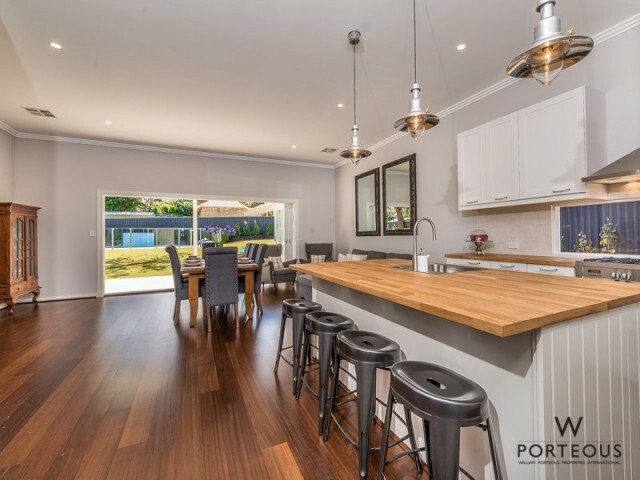 You will connect instantly with this breathtaking single-level home which has recently undergone a massive renovation and extension by highly regarded Petit Home Improvement. 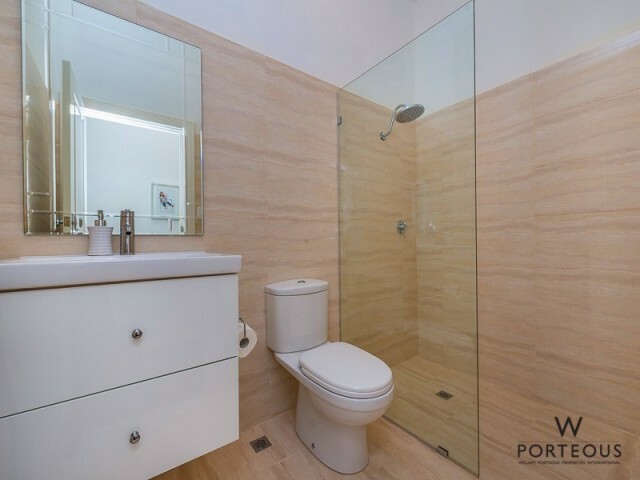 On a level quarter acre block with a northern rear aspect, it is sheer perfection. 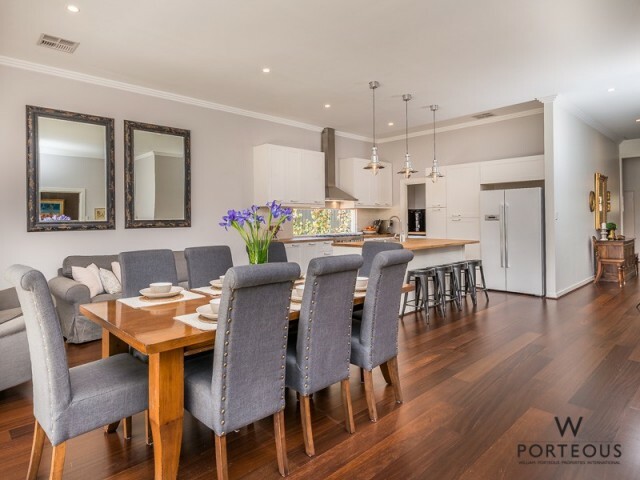 Located in one of the premium pockets of Nedlands, it is right on the border of Dalkeith. You have the gorgeous Masons Gardens, known to the local kids as Turtle Park, virtually on your door step. 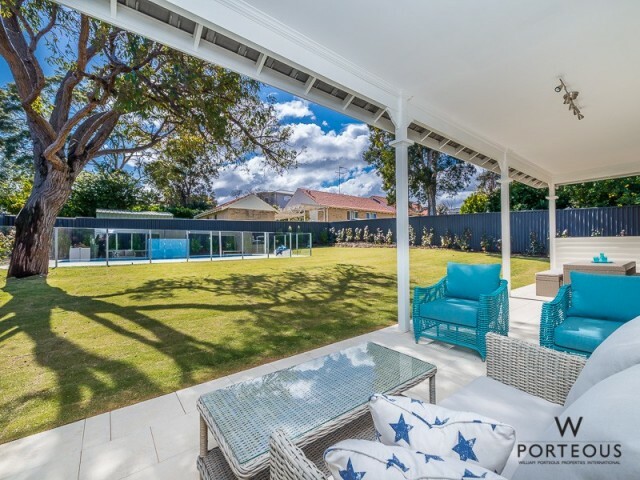 The groomed fairways of Nedlands Golf Course are a short walk up the street and the spacious ovals of College Park only a short walk in the other direction. 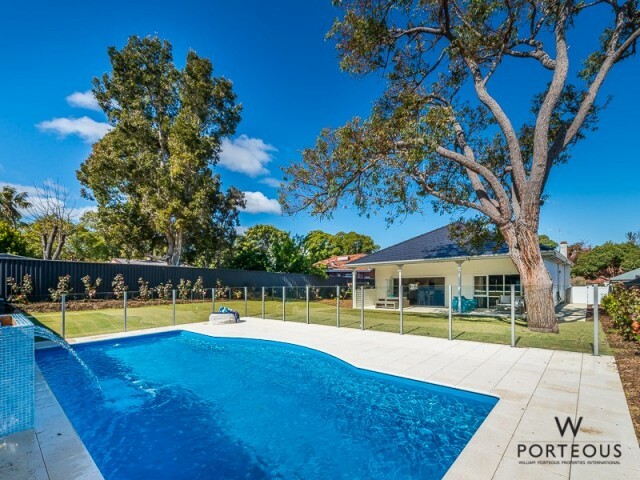 This home also puts you in the highly sought after catchment area of Dalkeith Primary school. It is a brilliant location for kids and adults alike. The foundations were set for an outstanding property, when the design-savvy owners joined with the best in the industry to lovingly create a spacious, quality abode seamlessly merging the charm of the original cottage with an enduring mix of Hamptons, Country-chic, Classic French and Industrial styles. 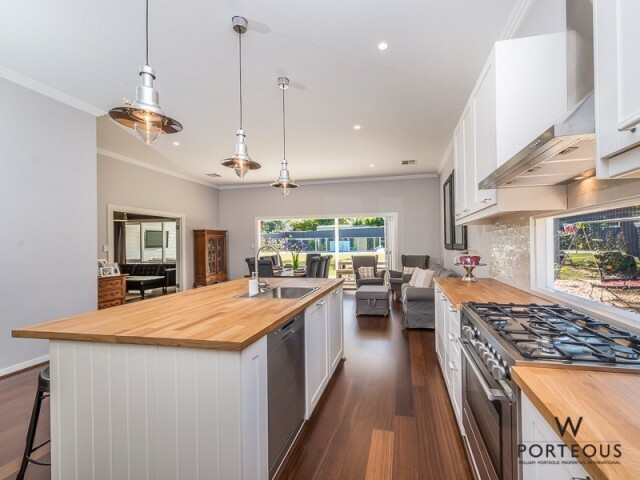 On inspection, you too will sense the serene, cocooning effect this home has, thanks to the soft, earthy palette, textural accents of the solid timber floors (not veneer or manufactured boards), solid stone benchtops and its adherence to Feng Shui principles. 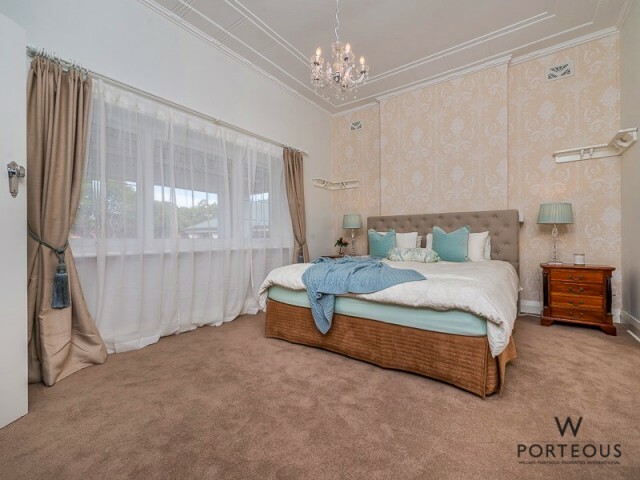 The practical floorplan, ensures rest is easy with the majority of the elegant bedrooms located at the front of the home, with a guest bedroom, cleverly tucked a little further away. 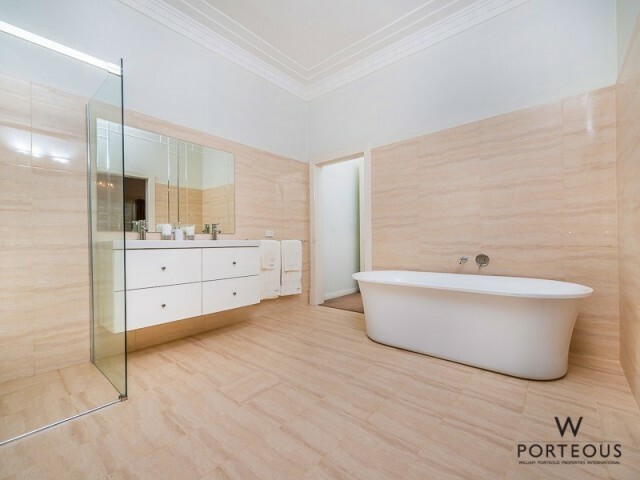 There are three, well-placed bathrooms with European travertine-look porcelain tiles and timeless fittings. The centralised study remains open, to allow tech-users to feel connected to the family. 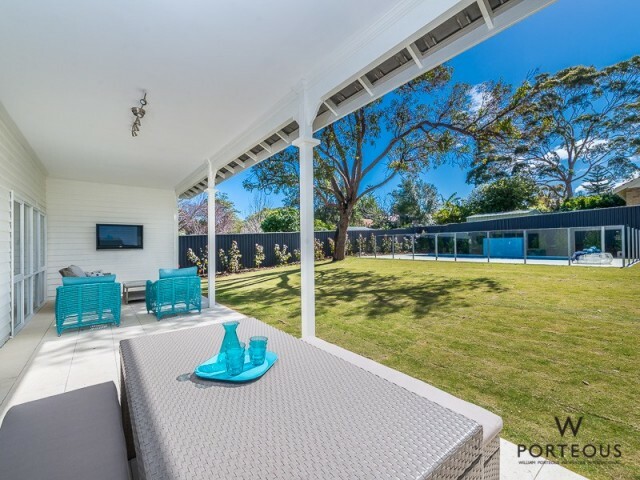 The massive open-plan kitchen, dining and family space maintains the soaring ceiling heights from the original homestead and is flooded with northern light from the wall of bi-fold doors that connects it completely to the alfresco zone. The other benefit of the design is the lush garden views. 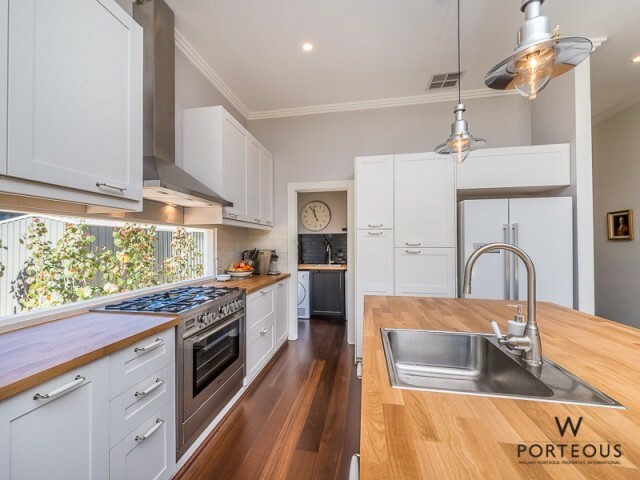 Your family will gravitate towards the white, country-style kitchen with its massive square island bench, trio of pendant lights, long slit window, butcher-block benchtops, giant appliance cupboard, handmade Spanish tiled splashback and top-end Blanco appliances. The clever laundry/mudroom runs directly off the kitchen with on-trend black shaker cabinets, cup handles and glossy subway-tiled splashback. 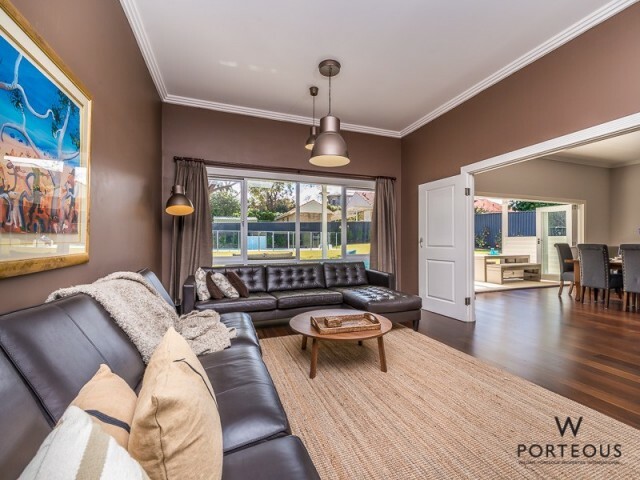 This is the ideal landing spot for the kids to dump their bags and sports gear, straight from the garage, via the shopper door – no stress. 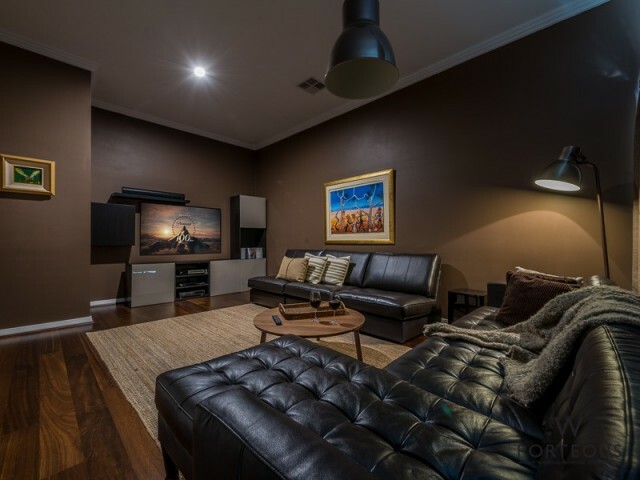 Close off the fully-equipped theatre/lounge room to maximise your movie viewing experience or leave it open, to create an even bigger, inclusive living space that could work as well as a deluxe play space. 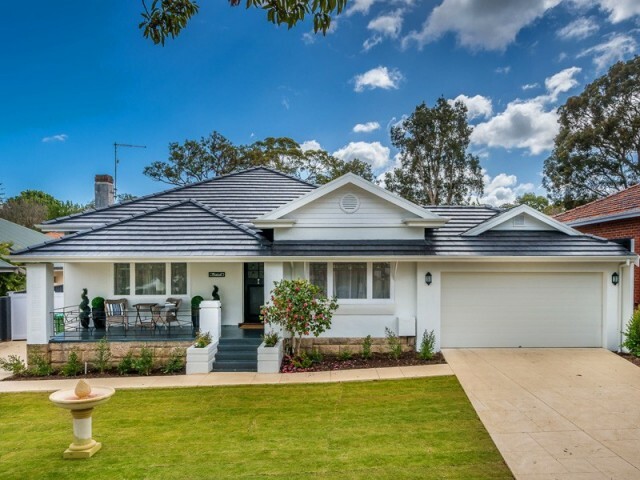 The white-cladded alfresco with limestone pavers is reminiscent of pretty Australiana pavilions. This protected area has a flat-screen TV along with masses of space for tables and lounges. 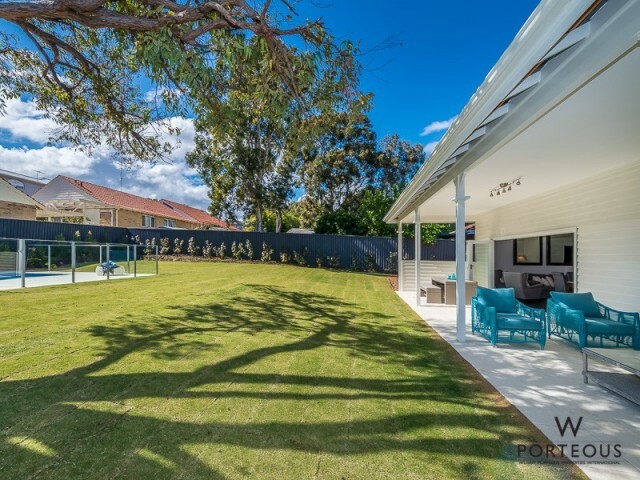 Outside, Winter Green lawn, surrounded by generous walls of consistent plantings, offers valuable space to run free and enjoy the shade of the Red Gum brimming with birdlife. 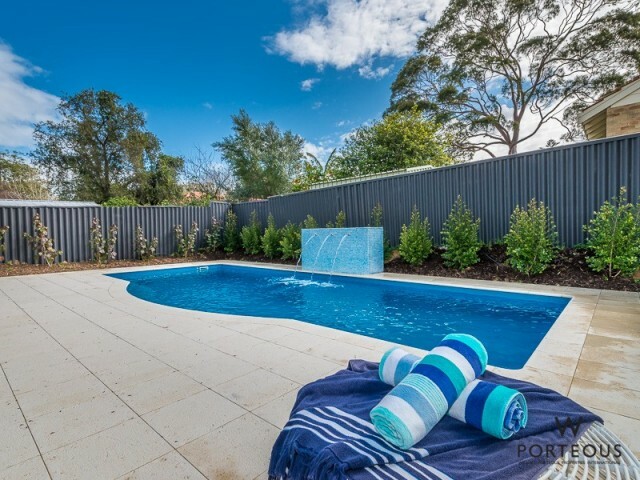 The large new swimming pool, complete with mosaic-tiled fountain, is drenched with northern light. 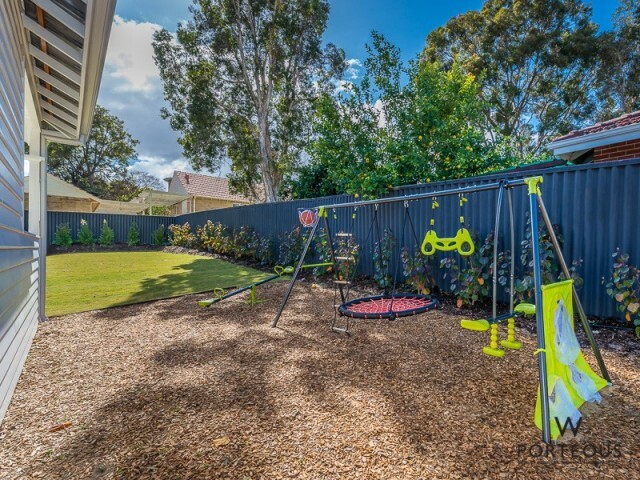 An added bonus for the kids is a playground area is tucked around the side – a child’s wonderland. From beginning to end, this impressive home offers an incomparable lifestyle. 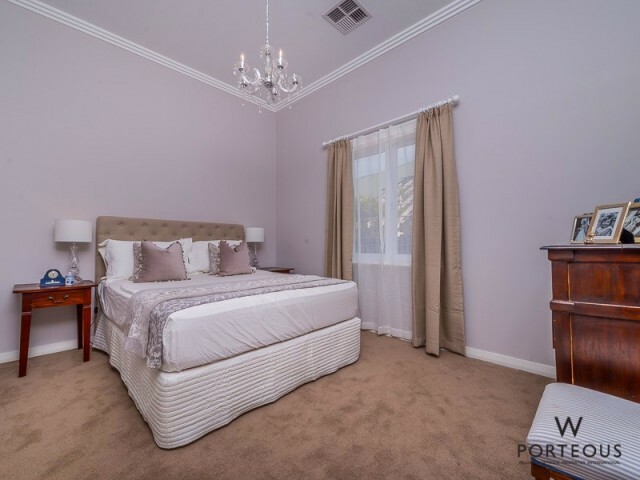 A warm and elegant home, that is, mostly, brand new, incorporating fine finishes throughout. 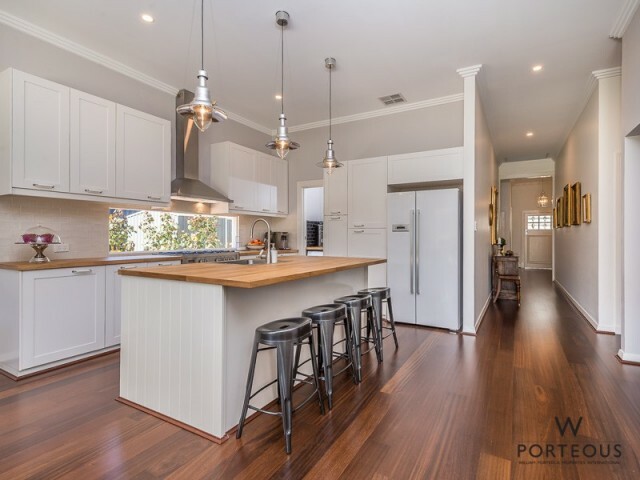 This is a home that will delight your senses.